Our classic, unfussy bomber jacket in luxurious shearling. 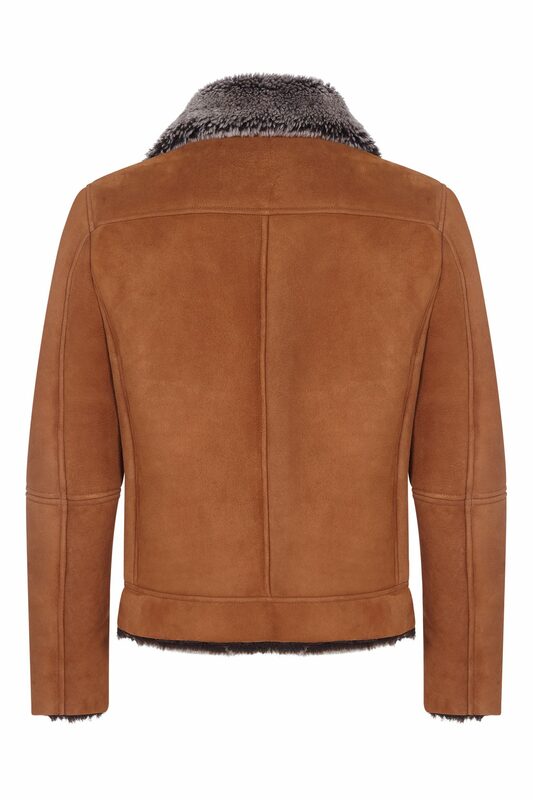 Beautiful cognac suede outer with soft grey snow-tipped fur on the inside. Slightly fitted, tapering to the waist. 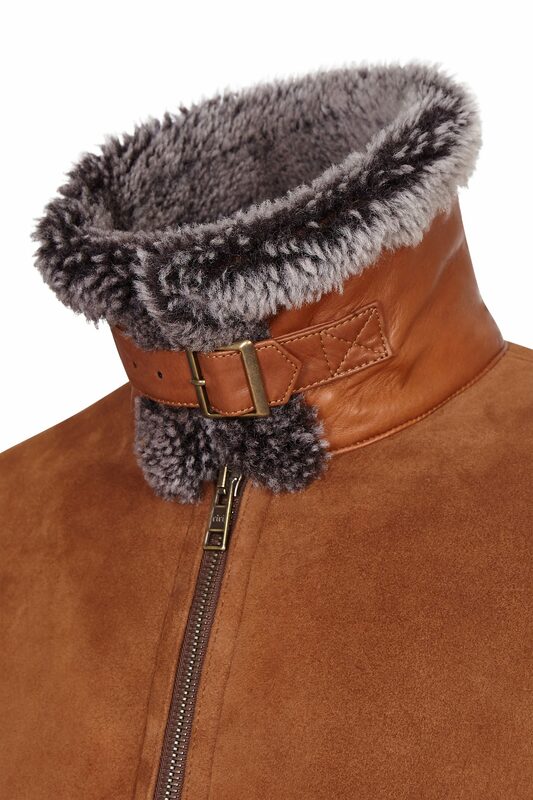 Features include a leather underside to the collar with matching neck strap. Antique brass hardware including Swiss made RiRi zips.